Inner Melbourne suburbs have many terrace houses. 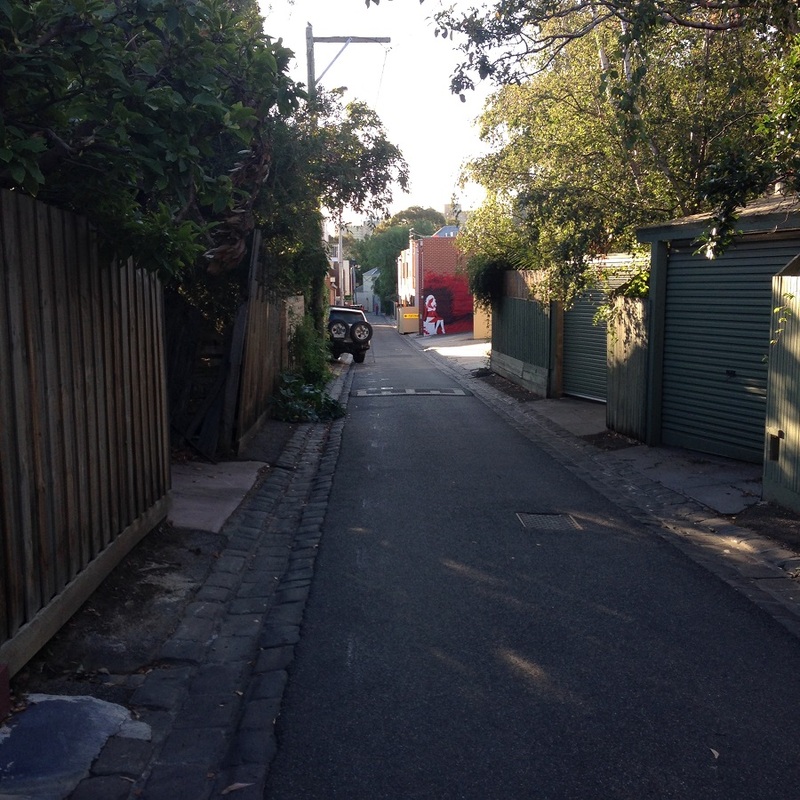 These often have narrow laneways that run behind them called a “right of way” (ROW). These 19th-century laneways were once thoroughfares for delivery carts. Nowadays they are becoming home to cafes, bars, eye-catching graffiti and have inspired dedicated laneway tours. This laneway behind our house has garage entrances, studios, subdivisions and our own little bit of street art!